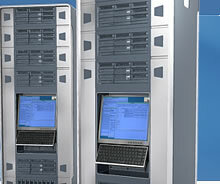 Access Providers offers affordable, yet powerful hosting solutions. Host your site with us and take advantage of our state-of-the-art servers, tier-1 network, and our team of Internet experts. We give you the power and reliability you need to focus on building a successful web site. All plans come with an extensive set of standard features and capabilities, including some of the most convenient and innovative site management tools available on the web.